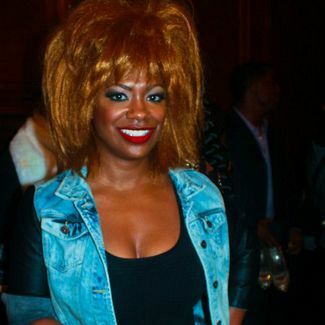 Kandi Burress Net Worth - How Much Is Kandi Burruss Worth? Home Business & Finance How Much Is Kandi Burruss Worth? Kandi Burruss has been a successful singer/songwriter since the 1990’s, and has accumulated a sizable amount of money over the years. Just how much is Kandi Burruss worth? It is estimated that Kandi Burruss net worth is around $35 million. A large portion of that money was earned from Kandi’s time as a member of the 1990’s R&B group, Xscape. The successful female quartet had six songs appear on the Billboard Hot 100 chart, including “Just Kickin’ It”, which reached number one on the R&B charts. When the band parted ways in the late 90’s, Kandi branched out on her own as a songwriter for some of the most popular artists of all time. She earned a Grammy for the 1999 hit TLC song, “No Scrubs”, which she co-wrote with former band member, Tameka Cottle. Kandi has also written several songs for the multi-platinum selling R&B group, Destiny’s Child. One of their most popular songs, “Bills, Bills, Bills”, earned her the ASCAP’s Songwriter of the Year award in 2000, making her the first ever African-American woman to win the award. Other artists began to take note of her incredible ability to pen hit songs, and she began writing for pop icons like Mariah Carey and Whitney Houston. Kandi also discovered the R&B group, Jagged Edge, who went on to be nominated for several awards, including a Grammy Award in 2002. She has achieved some success as a solo artist, releasing her first album, “Hey Kandi”, in 2000. Her second album, “Kandi Koated” was released in 2010 and the single “I Need” reached number 89 on the Billboard Hot R&B chart. In 2011, she founded her own record label, Kandi Koated Entertainment. Kandi Burruss became a household name when she joined the cast of the reality show, “The Real Housewives of Atlanta” in 2009. She even got her own spin-off series on Bravo, “The Kandi Factory” in 2012. She recently started her own line of adult toys with the company Bedroom Kandi, which employs consultants from all over the United States who host Bedroom Kandi Boutique parties. Her debut musical, “A Mother’s Love” opened in Atlanta in November 2013. She recently became engaged to television producer Todd Tucker. Her daughter Riley, from a previous relationship with Russell Spencer of Block Entertainment, is 11. 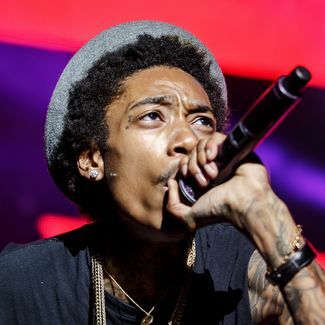 They recently moved into an 8,000-square foot home in Atlanta that cost an estimated $1 million. How Much Is Nelly Worth? How Much is Mac Miller Worth? How Much Is Eminem Worth? How Much Is Snoop Dogg Worth? How Much Is Soulja Boy Worth? How Much Is Usher Worth? What is Deion Sanders Net Worth? What is the Athlete Worth?